If you occasionally enjoy a drink or two with friends, you’ve almost certainly heard someone say, “I should probably drink some coffee before driving.” Many people who are drinking think that coffee will sober them up enough to drive safely and legally. That’s wrong. All you get is a bit more awake while you’re intoxicated. 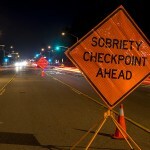 If you’ve been arrested and charged with DUI anywhere in southern California – whether or not you had some coffee with your alcohol – you’re going to need legal help fast. 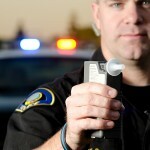 Call an experienced Orange County DUI defense attorney immediately. Coffee does not “sober up” anyone. The only way to get sober is to give your body enough time to metabolize the alcohol you’ve consumed. Time alone will do that. While caffeine might make you feel more awake, the blood alcohol content (BAC) level in your blood is the same whether you drink no coffee at all or half-a-dozen cups from Starbucks. Even with this knowledge, some people think that caffeine improves their ability to drive even while they’re intoxicated. It doesn’t. A 2010 study by the National Council on Alcoholism and Drug Dependence reports that coffee combined with alcohol can lead to “wide-awake drunkenness,” where caffeine masks the feeling of intoxication but does not decrease actual alcohol-related impairment. As a result, you feel less drunk than you really are, which can lead to even more drinking and risky activity like drunk driving. 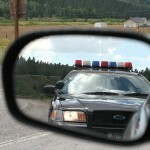 Coffee doesn’t improve your driving ability or reduce your BAC level. Another good reason to avoid using for those purposes is that drinking coffee with alcohol can make a hangover worse. Alcohol causes dehydration, which causes the hangover. Coffee also causes dehydration. The combination can really hurt you the morning after. If you’re going to drive, just don’t drink. It’s that simple. And if despite your best efforts, you’re charged with DUI in southern California, get the help you’ll need and speak at once to an experienced Orange County DUI defense attorney. 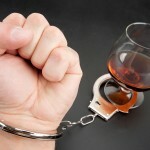 Do You Really Need An Attorney For DUI?